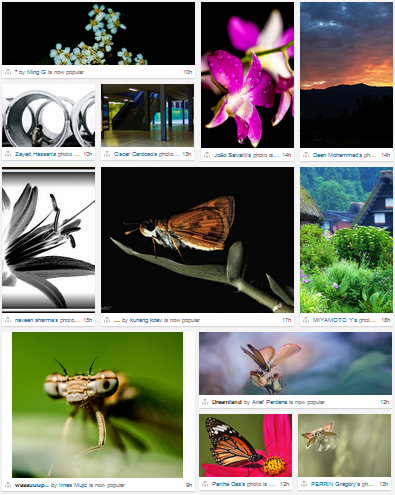 500px's front-page uses an interesting image layout algorithm. It stands out from the other ones as it does not use any algorithm nor mathematical properties to be computed. Instead it is based on patterns. The choice of which combination of shapes to use can be driven by the images you want to display. If you are displaying an image that you want to highlight, you're going to chose the big square, whereas a portrait image is going to use the vertical bar and so on. 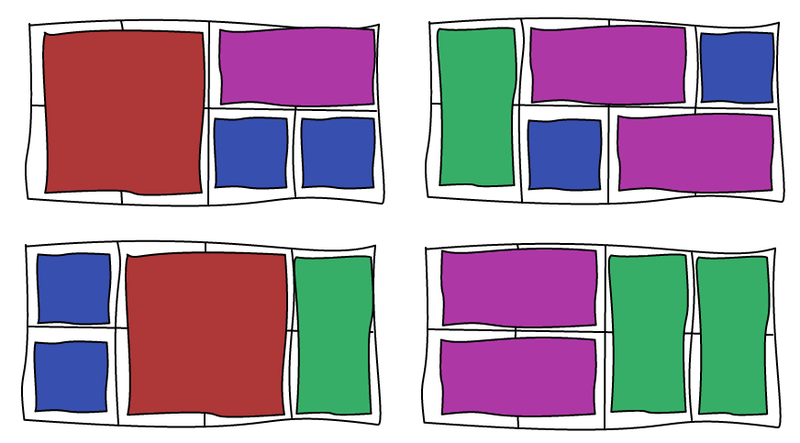 If you are to implement this algorithm, you may want to keep only the combinations that are visually interesting. Only horizontal images could be boring for example. The main issue with this layout is the use of unusual aspect ratios. Most photographic images are taken with cameras and therefore have an aspect ratio close to 4/3. 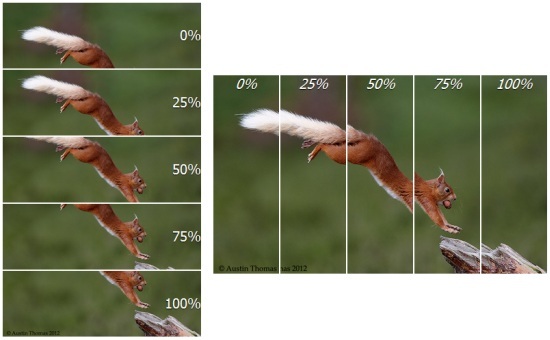 As soon as you want to fit a 4/3 image in a narrower aspect ratio, you will have to cut a large part of the image. To reduce the impact of this issue, they don't use square sizes as I presented in the examples. 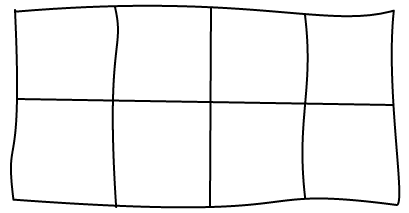 Instead, they use sizes that are closer to 4/3, both vertically and horizontally, as well as panorama. This layout is good if you have many portrait and panorama images and want to make some of them bigger. However, it introduces many cropping issues. If you want to use it, make sure you allow users to chose the crops before they are displayed or you risk ruining their photos.